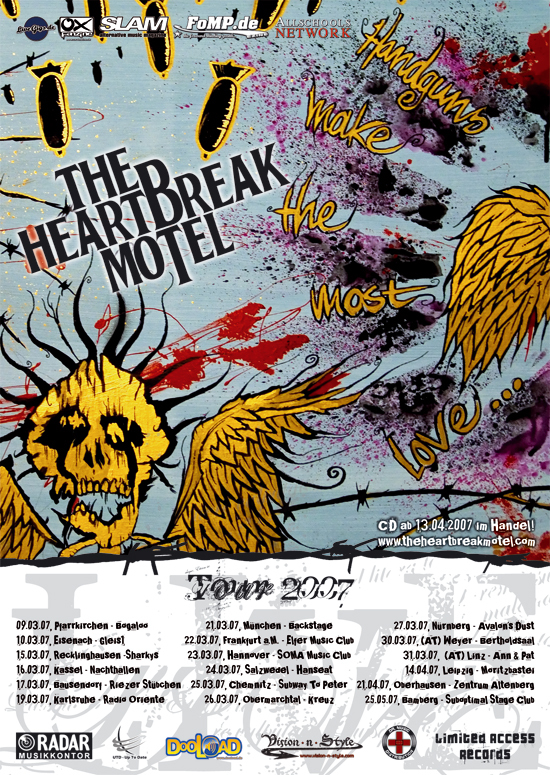 THE HEARTBREAK MOTEL start the "Handguns Make The Most Love" - tour! 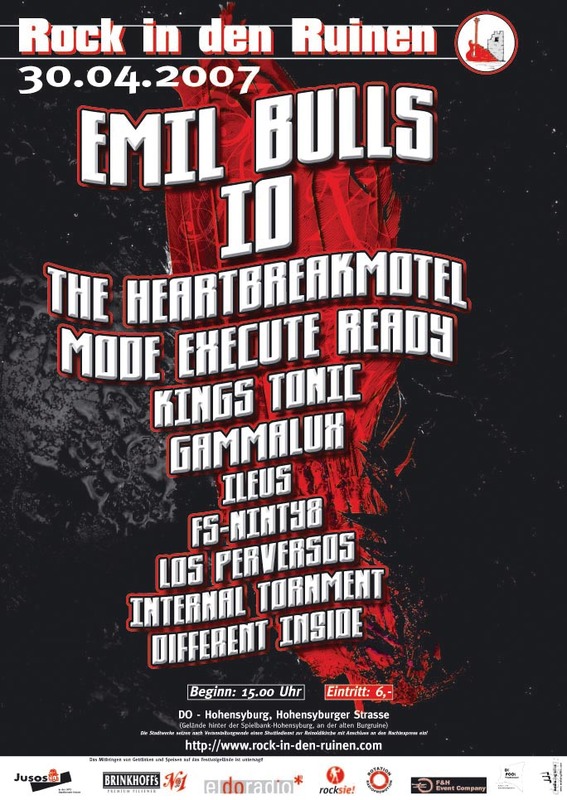 Our deathrockers from Recklinghausen, Germany start on 15th March their "Handguns Make The Most Love" - Tour presented by SLAM, OX, Allschools.net, FoMP.de and Livegigs.de at Sharky's Club in Recklinghausen. This show is also the release party of the new album! We are also glad to announce two new festival dates. 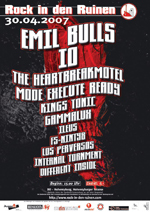 At first THE HEARTBREAK MOTEL will appear at "Rock in den Ruinen", Dortmunds legendary rock event. 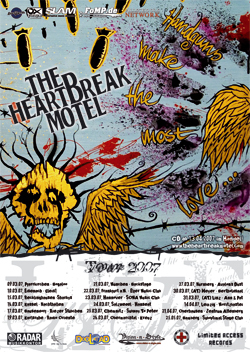 And on 3rd August 2007 they will play at "Big Day Out" in Anröchte, Germany with bands like Die Happy, LostAlone, Sportfreunde Stiller or H-Blockx.